Rachel Fidanian, 38, of Lakeland, Fla., is pictured in this Oct. 10, 2018 booking photo. A Florida woman who claimed that she tripped and accidentally stabbed her husband to death has been charged with second-degree murder in his death, police said. 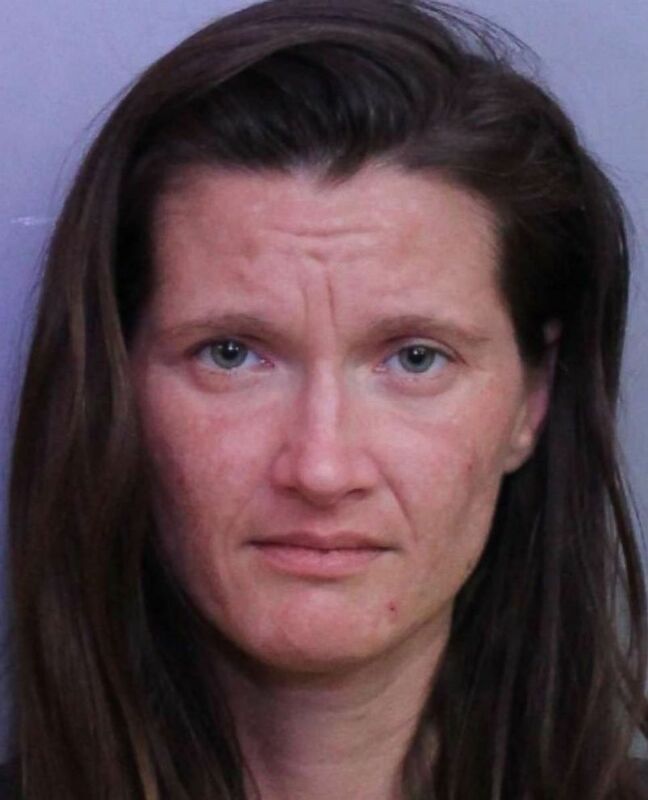 Rachel Fidanian, 38, of Lakeland, was arrested Wednesday after a three-month investigation into the death of her husband, Bryant Fidanian, the Polk County Sheriff's Office said in a statement. Officers responded to a 911 call on June 25 in response to Bryant Fidanian, 40, being injured, according to police. Rachel Fidanian told police that she lost her footing and stabbed him in the shoulder with a filet knife, police said. Bryant Fidanian was rushed to the hospital but later died. “An autopsy by the Medical Examiner's Office determined that four inches of the blade cut through Mr. Fidanian's second rib bone, left side, and cut the pulmonary artery,” police said. "The Medical Examiner has ruled the death as a homicide." Investigators determined that Fidanian gave several inconsistent statements about the fatal stabbing, police said in the statement. “Her account of the stabbing centered on her either tripping or slipping while holding her dog in one hand, and a filet knife in the other. Mrs. Fidanian attempted to demonstrate how she was holding her dog, for example, but she was unable to pick it up,” police said. Police said Fidanian claims were not plausible. "The suspect made a lot of excuses, but none of them made sense. Our detectives did a thorough investigation. In the end, they determined this was an intentional act of domestic violence," Sheriff Grady Judd said in the statement. Fidanian was sent to the Polk County Jail without bond. The Florida Bar, which is listed as representing her legally, said Friday an attorney has not been assigned for her yet. Fidanian is set to appear in court on Nov. 13.